The compassionate side comes from her mother, a nurse, and the technical cyber stuff comes from her dad, a computer forensic expert in nearby Washington D.C. The book begins with some needed backstory about how Web got her name, but then she is off to help a friend’s mom whose computer is doing some strange things. Ten chapters take you through many technology related problems, ones we’ve all probably heard about or experienced. Although Web frequently talks like an adult, you’ll be enriched with the information she provides. The subplot of friends getting into trouble with their online activities and meeting strangers in chat rooms, is a strong reminder how dangerous the Internet can be for those who haven’t learned. A handy reference guide follows the story with tips on many of the common problems. The Web Paige Chronicles is a much needed springboard for discussion about our current “always on” world. Middle grade kids and adults can learn from its lessons. Emilio Iasiello is the author of the short story collection Why People Do What They Do, and a nonfiction book, Chasing the Green. He has published poetry in several university and literary journals, and recently had his chapbook Postcards from L.A. published in 2018. An avid screenwriter, Emilio has authored several independent films and short films. His stage plays have been produced in the United States and United Kingdom. A cyber security expert, Emilio has more than 15 years’ experience in cyber threat intelligence leading teams in the public and private sectors. He has delivered cyber threat presentations to domestic and international audiences and has published extensively in peer-reviewed journals and cyber security blogs. He lives in Virginia with his amazing wife and two adorable children. 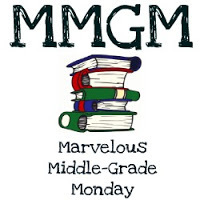 Make sure you put MMGM or Marvelous Middle Grade Monday in the subject line so it gets sorted accurately–and please don’t forget to say what book you’re featuring) You MUST email me your link by Sunday evening (11 PM Eastern Time) in order to be included in the list of links for the coming Monday. This entry was posted in Middle Grade Book Reviews and tagged Emilia Iasiello, Middle Grade Book Reviews, The Web Paige Chronicles. Bookmark the permalink. This is a very clever book. Love the title and the nickname! Kuddos to the author. What a great discussion book among families and at school. Sounds cute. Glad there is good messaging about the dangers of the world wide web. I could use a visit from young Web. I just got a new printer and could use help setting things up!